In the last few years, the question of ‘body image’ has become almost inextricably associated with a particular liberal critique of advertising and media, and more specifically of the fashion industry. Debates rage about the scale of psychological damage that the rag trade inflicts, particularly on young women, with its narrow portrayal of human size and shape, and its steadfast refusal to accommodate the everyday body with all its quirks, bumps, and idiosyncrasies. To address the issue, Campbell presents us with a new kind of conceptual frame. ‘Much of our angst about size and fit springs from the notion that to be socially successful, we need to constantly tend to and revise our appearance,’ she says. She calls the phenomenon of linking appearance with social currency ‘orthovestia’, a term coined from the Latin words for ‘correct’ and ‘clothing’. The concept has resonance everywhere from the schoolyard to the workplace, and can be seen in the media, in advertising, and in regular social interaction. 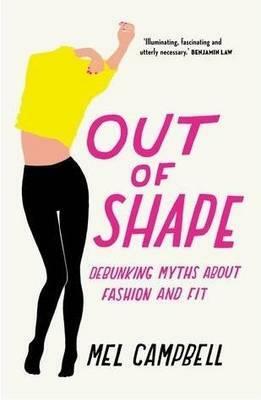 Out of Shape offers a fresh angle on an old topic, and Campbell has the smarts, the pop culture knowledge, the literary nous, the wit and the counterbalancing gravitas to set herself apart on the issue. Her prose is clean, confident, and pleasantly peppery, and the personal narrative is feather-light, providing a loose structure for what prove to be the most interesting elements of the book: a series of historical and sociocultural investigations into fashion, pop culture, retail, self-esteem and self-evaluation. 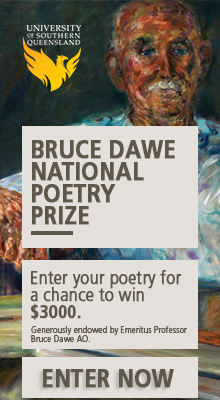 It is precisely this fresh approach, however, that frustrates the potential of the work. ‘Orthovestia’ functions within the text as a frame through which to start explaining ‘the reasons why buying and wearing clothes can make us feel so bad’, and Campbell depends on it more and more as the book progresses. But searching a bit deeper within this frame reveals a much more complex set of relations, and one which requires a deeper conversation about industry, economics, politics, and individualism. What Campbell does well is map how contemporary manufacturing pressures the market into mass consumption of standard sizing, while simultaneously alienating the product (clothing) from the consumer (providing a ‘fit’ that, in fact, doesn’t). These productive forces place pressure on the wearer to fit the clothes, rather than the other way around: a system that explicitly privileges profit over people. This reversal of blame, for lack of a better word, is Campbell’s most important contribution here: it would be nigh impossible to read this book and feel personally responsible for not adhering to the standards set either on the catwalk or on the racks of clothes in one’s local mall. This is no small thing, an important contribution to a debate about the body that, as Campbell herself identifies, can be very difficult to navigate. Out Of Shape is smart, snappy, funny and informative, and tiptoes on the brink of this gargantuan political chasm with its chin up and eyes bright. That it avoids taking such a plunge strengthens it in terms of its stated objectives – a distinct achievement – but ultimately leaves the reader feeling curiously unsatisfied. Thanks for this review – the first I’ve had that has directly engaged with the historical and political elements without refracting them through the ‘personal’ lens. I’m grateful for this, because you might recall that I’ve struggled with what I see is an excessive interest in the subjective address in non-fiction writing. I did do a considerable amount of research and thinking that perhaps, as you suggest, remains submerged in the book, but that’s not to say it didn’t occur to me. It was an editorial decision to make the more detailed politics of sport a footnote to this volume, not its major concern – although if you feel they should’ve been more central, I’ll cop that! Thanks for your comment, Mel. I could kind of tell as I was reading that there was a whole lot of knowledge that remained submerged, as you say, and in a lot of ways I think you couldn’t have written the book you did if you brought it all out and tackled it head on. It’s a tricky call to make, I think, when you’re walking that line. For better or worse, if you had brought it out more it would have dramatically changed the tenor of the book.